Mark’s co-worker had good things to say about online dating, so he was convinced to give it a try. While Mark wanted to meet a great woman, this was all new to him, so he took a passive approach at first. He didn’t search for promising profiles and relied on women to make the first contact. One night, Mark was checking his email and, on a whim, decided to do a quick search on our site. For some reason, a particular photo and the accompanying essay spoke to him. “She had a beautiful smile,” Mark notes. “Like an angel handed down from heaven.” Based on what Tyann wrote, he sensed she had a warm and caring personality as well. Mark decided to change his strategy from “defense” to “offense,” put himself out there, and see what happened. The couple-to-be hit it off immediately, so neither was in a hurry to break the spell and leave the restaurant. When the place closed, they went to a nearby tavern and continued their conversation there. When the tavern closed—at four in the morning—these smitten singles just went out to the parking lot and kept talking for another hour. Finally, as the sun came up, they parted ways at last! Not long after their epic first date, Mark and Tyann began seeing each other exclusively. They’ve been together ever since. “She’s an inspiration to me!” says Mark of his beloved partner. 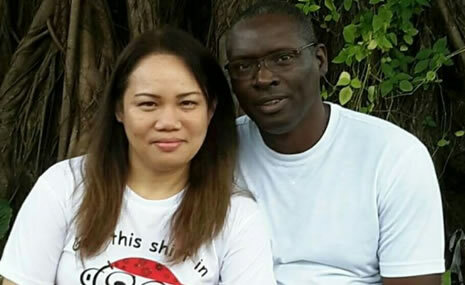 “We see a long, happy future together.” They’ve introduced their children to one another on group outings and go to church together. 171 responses to "The first date that never ended"
This right here will be my story when I found mine,watch this space! Wow so nice story but not story its real.hope to meet mine one day that my prays. Hey hey hey, I am so much pleased with such good n great stories, I really wish God blesses me with a good spouse someday so that I would also tel my story and experience to other, congrats everyone, such stories really encourage me. Are you ready for a good go? sometimes i really wonder about these stories. plus tyann doesn't seem to be too happy in that picture. Nice story !!!!!! Enjoy for the rest of your life!!!! Nice story. ....good luck both of you guys. 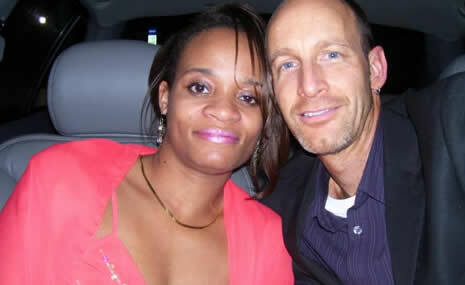 .I wish me also l find true love here in interracial dating. . Yes, they sure right, the first date that never ended...they do not feel like leaving themselves. That is what i called...love at first sight.